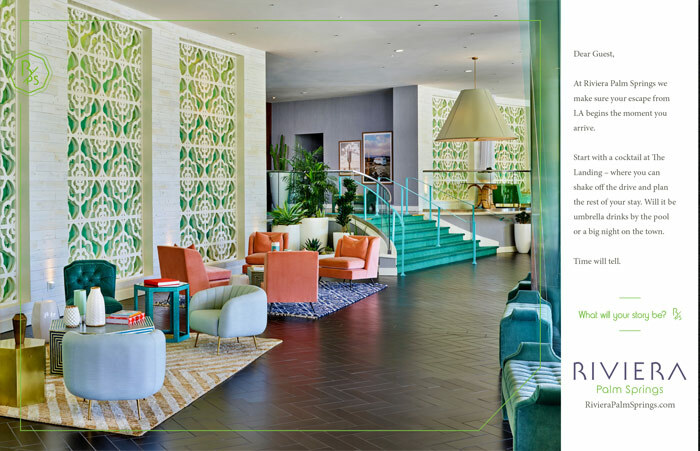 Born from the idea that The Riviera provides endless guest experiences and the consumer’s desire to share, “What will your story be?” became the mantra of the entire hotel. Embraced by the staff, integrated into a complete re-design, and executed in every touchpoint; way-finding signage, advertising campaign, social media, collateral, etc. the positioning set foundation that incited the consumer to share and visit again and again.